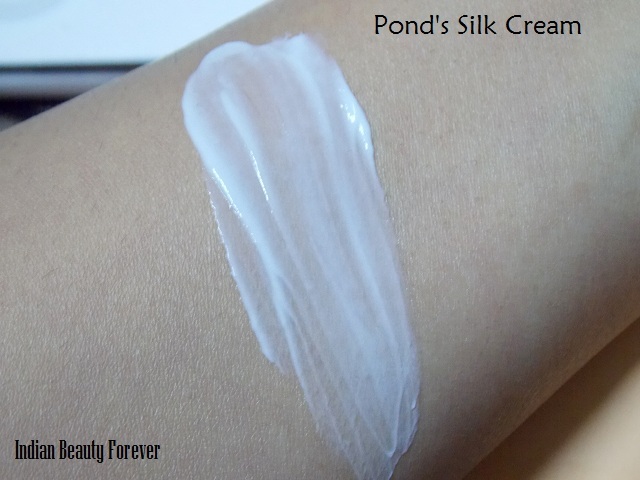 I am currently testing a lot of winter skin care products and I am ready to review this Pond’s silk cream. This is the latest launch from Pond’s in their winter skin care line. 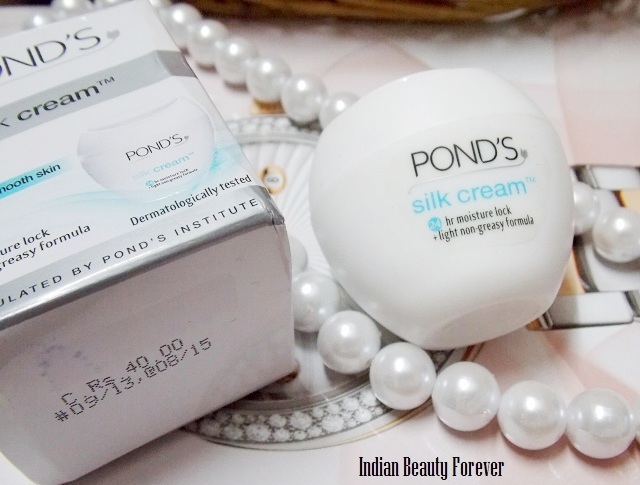 I think when it comes to cold creams, Ponds cold cream is one such product that comes to our mind. I still remember their ads that I saw as a child and agree that ponds cold creams were very famous. We love trying new products though there are some products that we still love as they have been here for so long due to which most of them have now become staple for us. Price- You can get this silk cream for 40 rupees for 30 ml, 55 ml for 80 rupees and bigger pack of 100 ml for 125 rupees. It is available on most of the online shopping sites, if you are an online shopping addict or offline. 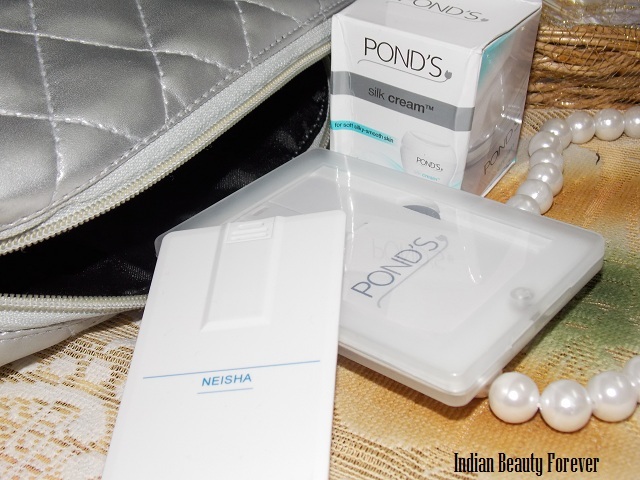 Pond’s claims - Experience the latest nourishing treat from Pond’s! 24 hr moisturization and goodness of silk in a luxuriously light cream that moisturizes from deep within and gives you soft and smooth skin like never before. Light non greasy formula, nourishing 24hr moisture lock and it contains silk extract. 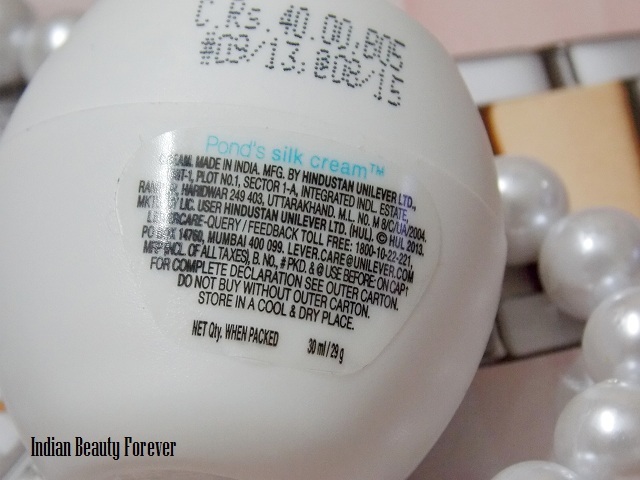 Experience- Ponds silk cream comes in a tub packaging. This smallest sized tub could be kept in your purse easily so that you can grab it and moisturize yourself through out the day! I have this habit of slathering cold cream every now then whenever I had washed my hands. My hands get very dry in winters. This cream has a very mild fragrance that is different from the earlier version of their cold creams. Its smell reminds me of their face wash.
Once I apply this, it gets absorbed very easily and in spite of being a creamy formula, it doesn’t make my skin greasy. By the way, I used it on my hands first. It says that it can be used on face and neck, So, its not a body cream but a face cream. When used on the face, I noticed that it made my skin smooth and supple but as my skin is combination, my skin looked greasier after using this. It can be a good face cream to try this winter for people who have got dry to normal skin types as it can be greasy for oil to combination skin types. When I had used it as a hand cream, there was no sign of greasiness, may be i could use it that way then. If you have dry areas like dry cheeks or forehead then try to put this only on those places to combat dryness or cold sores. Apart from all this what I am concerned about was its long really long list of chemicals. Its 24 hours protection claims may not be true but it does provides hydration for about 5-6 hours. It was a PR smaple so, I was also being sent this silver pouch and 4 GB USB drive that bears my name. It looks like a card I really like it!! 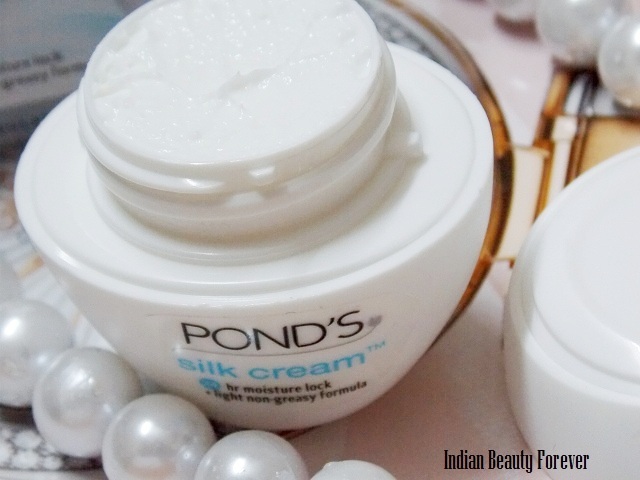 Take- Ponds silk cream is an affordable cream to try this winter if you have dry to normal skin as it keeps skin hydrated for quite a long time but look the other way if you have combination to oily skin. Great job on this review will keep in mind. Keep in touch doll. This is good for sensitive skin in Winter! I like well hydrating products for Winter too :) Consistency also looks good. 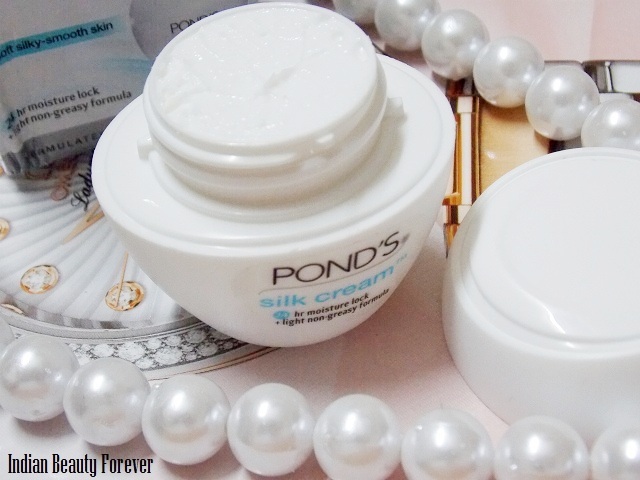 Ponds cream never suit me as i have oily acne prone skin...nice review! It can be very greasy for u.
I was waiting for this review. 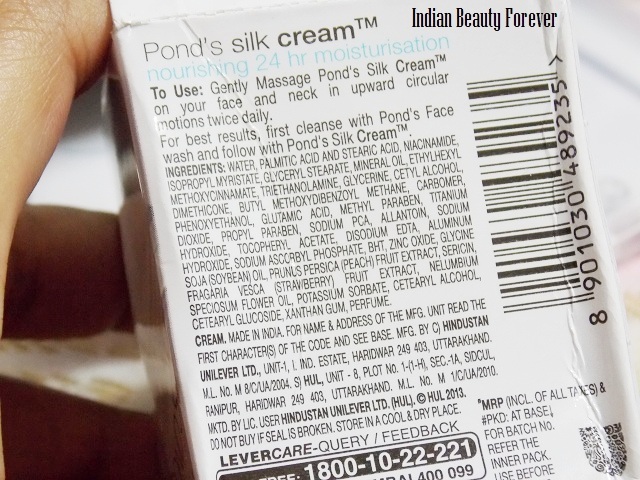 I agree, since childhood Pond's and Charmis used to be our staple cold creams but last winter I happened to notice the ingredient list of their common cold cream while discarding it and I was shocked to see the list of chemicals. I thought this may be different but seems to fall in the same category. Great review and lovely pics as ever. I so agree!! Even now when my mum needs cold creams she will say, buy ponds. we are so used to these brands. I was surprised to see so many chemicals in this cream too! I have combi skin..and I am sooo loving it ! Its so light and perfect..
Its good for combination skin. My Dad Uses This a Lot in Winters When His Skin Gets All Dry n Flaky! 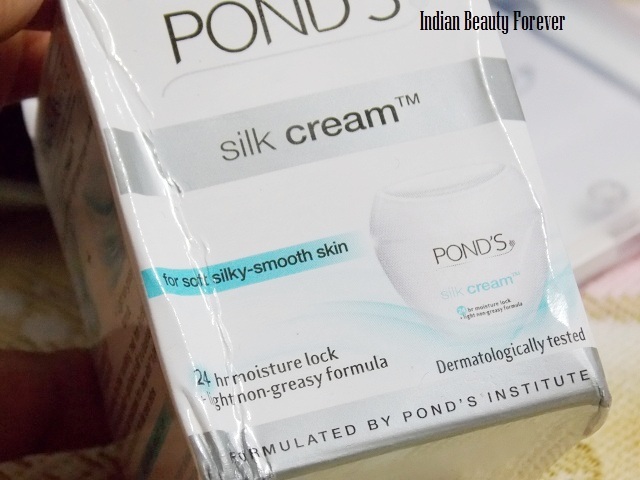 Ponds creams are good for very dry skin! Nice review dear :) and good that they made it non greasy..